Before you throw away that old hard drive, make sure you purge the memory clean. A new study has found that most users are accidentally giving up photos, social security numbers and financial data, by failing to properly delete the files on their recycled hard drives. Blancco Technology Group, which specializes in data erasure, conducted the study by randomly buying 200 secondhand PC storage drives from eBay and Craigslist. Their goal was to see if the company could recover any of the old data saved inside. In most cases, it could. 78 percent of the drives contained residual data that could be recovered. Over half of the drives, at 67 percent, still held personal files, such as photos with location indicators, resumes and financial data. If fallen into the wrong hands, the data could be used for identity theft and fraud, the company warned. 11 percent of the drives also contained company data, such as emails, spreadsheets and customer information. The study, which was released on Tuesday, highlights the security problems with secondhand electronics. The previous owners often fail to delete all the data inside. Digital photocopiers, for instance, have been resold still storing all the documents they’ve ever scanned. 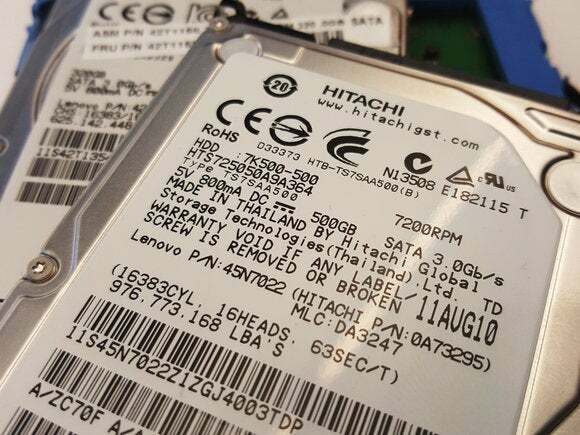 Old hard drives can also be a gold mine for hackers. Deleting the files stored inside may seem straight forward for the owner. But simply sending the files into the desktop's Recycle Bin isn't enough, Blancco said in its study. In other cases, the user will run a “quick format” on the storage drive, thinking the files have been permanently removed. However, these methods don’t fully delete the data, but simply leave it hidden and intact, the study added. Of the storage drives examined, only 10 percent had all the data securely wiped, Blancco said. It advises that owners use proper data erasure software to properly remove all the files. These tools can work by overwriting all the memory with meaningless data, to ensure that none of the residual information is left recoverable. Blancco conducted its study in this year’s first quarter. Most of the drives bought were hard disk drives.